Tian Tian Lan began learning piano at the age of four with Nehama Patkin. He now studies with Glenn Riddle, completing his Associate Diploma of Music (AMusA) with Distinction in 2012 and Licentiate Diploma of Music (LMusA) in 2013. 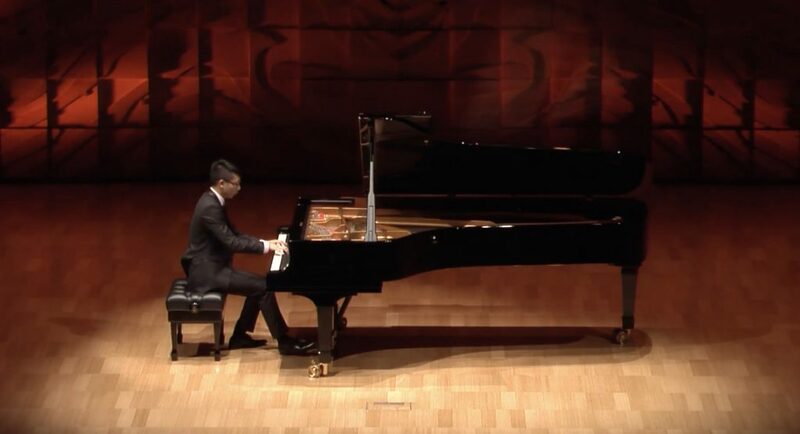 He has been awarded first prize in the Margaret Schofield Chopin Prize, multiple prizes in the Melbourne Recital Centre Bach Competition, the Kault Prize for most outstanding Piano Diploma Candidate, and numerous first prizes in local piano competitions. Tian Tian has performed extensively, including recitals at the Saxton Speakers Bureau World Conference and the World Suzuki Convention. In 2009 he made his concerto debut playing Ian Munro’s Children’s Concerto with the Monash Academy Orchestra. Since then, Tian Tian has appeared as soloist with the Scotch College Symphony Orchestra (SCSO) in Tchaikovsky’s Piano Concerto No. 1, and Rachmaninov’s Piano Concerto No. 3 in several performances across Spain. He has been invited to play at various masterclasses, including the Melbourne Recital Centre’s Masterclass Program with Paavali Jumppanen in 2015. Tian Tian is also a keen chamber musician, having performed piano trios by Rachmaninov, Shostakovich, Smetana, Haydn, Beethoven, and Mozart. In 2018, he appeared as a guest artist with Wilma and Friends in Shostakovich’s Piano Quintet, and Brahms’ Horn Trio in E Flat. Tian Tian is also an experienced violinist, completing his LMusA in 2014 with Leonid Zeyde, and has since toured Europe and USA as Concertmaster of the SCSO. He now enjoys playing in various community orchestras and is the concertmaster of the Old Scotch Symphony Orchestra. 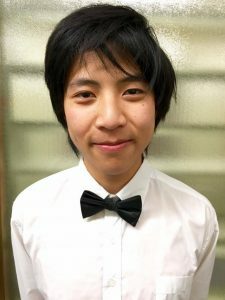 Tian Tian is an active member and first violinist of the University of Melbourne Symphony Orchestra, University of Melbourne Medical Students’ Society Orchestra, and Melbourne University Biomedicine Students’ Orchestra. Tian Tian featured in our concert Shine in May 2019, performing Rachmaninov’s Piano Concerto No. 3 with us. 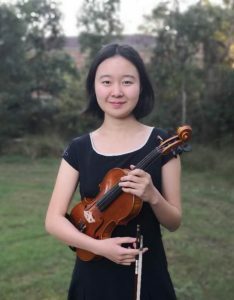 19-year-old Emily Sun is currently a third year Bachelor of Biomedicine and Diploma of Music student at the University of Melbourne, studying violin with Markiyan Melnychenko. She began playing the violin at the age of 7 after receiving it as a birthday gift, and nurtured her love of music by playing in various school ensembles, the Queensland Youth Orchestra, and the Australian Combined Schools Music Festival in 2011. 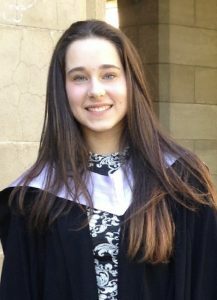 At the age of 14, Emily was awarded her Licentiate Diploma of Music (LMusA). 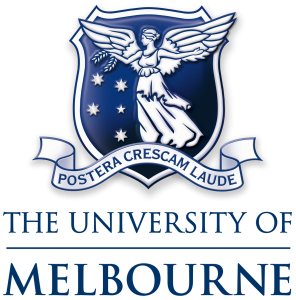 Since moving to Melbourne, Emily has played first violin in the University of Melbourne Philharmonic Orchestra, the Australian Medical Students’ Orchestra, and was concertmaster of the Melbourne University Biomedicine Students’ Orchestra. In 2017, she was a recipient of the Corinna D’Hage Mayer String Scholarship from the Melbourne Conservatorium of Music. Besides her academic and musical endeavours, Emily also regularly volunteers at the Royal Melbourne Hospital, by playing violin as part of the Music Therapy volunteering program. She co-founded the Melbourne University Biomedicine Students’ Orchestra in 2016. Emily featured in our concert Dreamcatcher in August 2018, performing Tchaikovsky’s Violin Concerto with us. 20-year-old Chai Jie Low is an Honours student of Professor Ian Holtham at the Melbourne Conservatorium of Music. Beginning to learn the piano at the age of 5, she soon fostered a deep love of music, achieving both her Licentiate and Associate Diplomas of Music by the age of 15 (LMusA and AMusA). At the age of 16, Chai Jie made her concerto debut performing Rachmaninov’s Rhapsody on a Theme of Paganini with the Queensland Pops Orchestra at the Queensland Performing Arts Centre. In 2014, she was a major prizewinner in the Queensland Piano Competition, and was selected as a scholarship participant of the Stony Brook International Piano Festival in New York where she performed solo at the New York City Yamaha Piano Salon. In 2016 she was invited to perform in a masterclass with Lars Vogt at the Melbourne Recital Centre and was a 2017 Margaret Sutherland Bursary Fund concert artist. 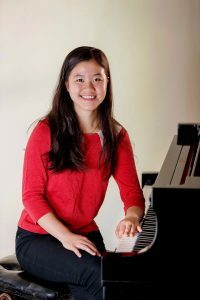 Chai Jie is a recipient of the Gladys Payne Memorial Piano Award, Mckay Pianoforte Scholarship, Athenaeum Club Instrumental Soloist Prize, and Florence Menk Meyer Prize. Her solo performances have been broadcast live on 3MBS radio. Chai Jie featured in our concert Madam Amour in April 2018, performing Chopin’s Piano Concerto No. 1 with us. Elizabeth Robinson began to play the flute at the age of 7, learning from Kate Bergen. She attended Strathcona Baptist Girls Grammar School where she was on a music scholarship and was School Music Captain in 2016. In her time at school, she played in multiple chamber groups and orchestras. She was awarded her Associate Diploma of Music (AMusA) in 2015 and completed VCE Music Performance in 2016. In 2013, she travelled to Japan for a music conference with over 4,000 students from all around the world, where she studied with the internationally renowned flute master Toshio Takahashi. Ellie is currently studying a Biomedicine of Biomedicine, and played 1st flute with MUBSO in their 2017 inaugural concert. Alongside her university studies and passion for flute, she is also a Rhythmic Gymnastics coach. Ellie featured in our concert A Midsemester Night’s Dream in September 2017, performing Mozart’s Flute Concerto No.  2 with us. Born in 1996, Willard Zhong first began playing the violin at the age of 5. It wasn’t long before his musical talent was recognised, and upon entering the Australian National Academy of Music at age 8, he began tutelage under his current teacher Mark Mogilevski. In 2009, Willard received the Brian Hone Music Scholarship to study at Melbourne Grammar School for six years, and in 2011 he received his Licentiate Diploma of Music (LMusA). He is also a recipient of the Corinna D’Hage Mayer String Scholarship and the Kate Flowers Memorial Scholarship. As concertmaster of the Melbourne Grammar School Symphony Orchestra from 2013-2014, he has played and soloed in various international orchestra tours in Japan, Europe, and America. 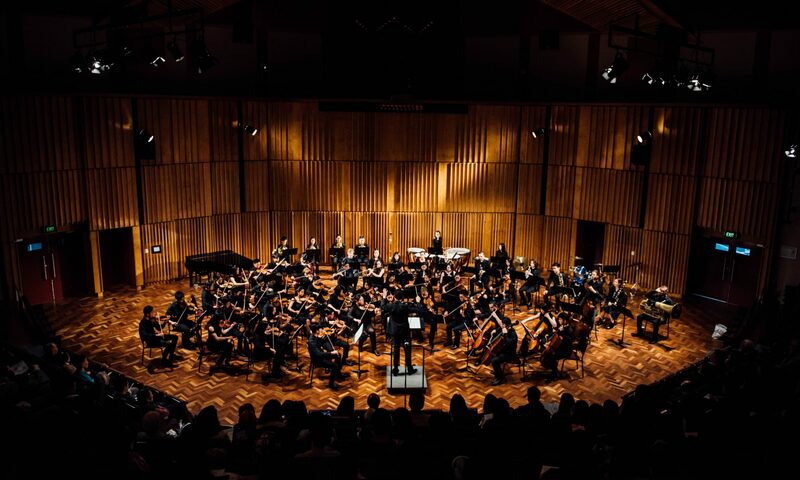 Other orchestral ventures include leading the Australian New Goldenberg Orchestra from 2013-2015, premiering Julian Yu’s works in several international tours to China, as well as leading the Australasian Orchestra in 2016. Willard is currently studying as a 4th year at the Melbourne Conservatorium of Music, where he resides as Assistant Principal First Violin of both the Melbourne University Symphonic Orchestra and the Melbourne University Philharmonic Orchestra. Willard featured in our concert Into the Baltic in May 2017, performing Sibelius’ Violin Concerto with us.